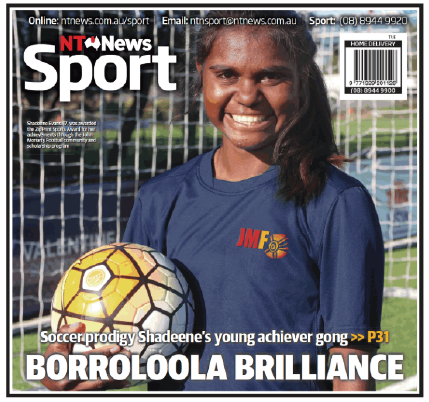 Part of the John Moriarty Football program in their remote community on the McArthur River, it’s not just the first time any of the four girls and four boys aged 12-14 have left Australia but their first venture outside the Northern Territory. On Sunday (Monday AEST) they were on the other side of the globe in the Brazilian coastal city of Vitoria. Along with about 3000 screaming local schoolchildren, they watched the Socceroos prepare for the World Cup opener against Chile in five days – a game they will travel to Cuiaba to watch. They even got to take to the field themselves for a few drills with coach Ange Postecoglou before meeting striker Tim Cahill and playing a game against local kids. 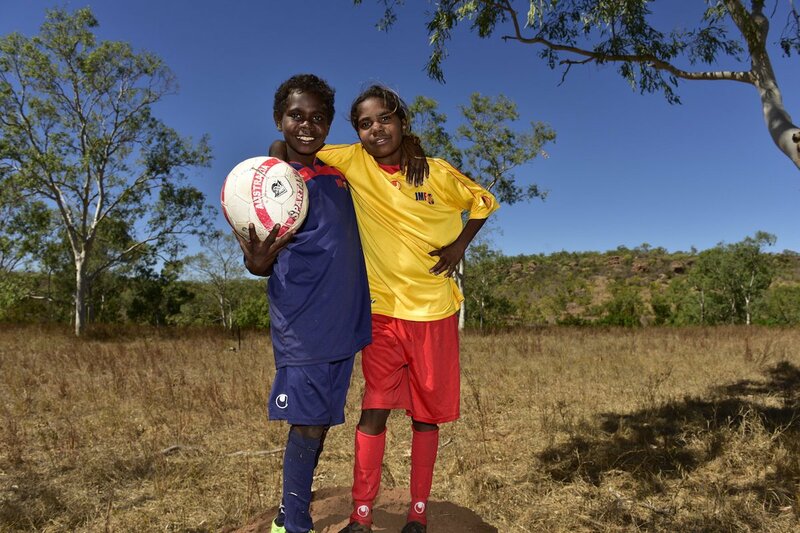 Moriarty, is an accomplished painter and author who has an Order of Australia, but what these kids would hold in the highest esteem is that he was the first Indigenous Australian selected to represent Australia in football. However his story is one of heartbreak. Playing in the South Australian state league, Moriarty was chosen to tour Hong Kong with the Socceroos in 1960. But the tour was cancelled when Australia were banned from international competition by FIFA for recruiting foreign players without a transfer fee. The ban would last six years. By then a collision with a goalkeeper had prematurely ended Moriarty’s football career. Having been asked to trial with English Premier League giants Arsenal, Tottenham Hotspur and Everton as a teen, Moriarty declined the offers later pursuing a university degree. Almost 60 years on, it’s still something he says he regrets. Now he invests his time, and money, in his football program in the hope the sport he loves can open doors for underprivileged indigenous children as it did for him. “This trip is life-changing for them in my view,” Moriarty said. “They come from the bush community where I was born in Borroloola, there’s about 1000 people in that district. Moriarty’s program caters to about 120 kids and offers more than football as they are also taught the value of a school education and put through programs targeting heath and behavioural issues. The eight chosen to come to Brazil not just excelled on the pitch but were rewarded for showing the same commitment to all parts of the program. While aware of the fierce competition from the likes of AFL and rugby league in attracting young indigenous talent, Moriarty says what football can offer is unrivalled. “In the football world I think we have a tremendous culture and I think that breaks racial barriers just with a click of the fingers,” he said. “That’s one of the things our kids are learning here in Brazil because they are coming up against people who speak a different language and from a different background. “Soccer gave me an inspiration, I was able to meet people, I was able to travel.